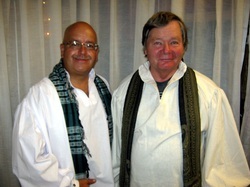 ZilzalaDrums is David (Harduin) Brown and Joe (Creon) Frey. They are a belly dance drum group located in New Mexico. 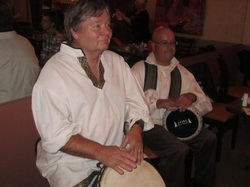 They have been providing quality belly dance drumming together for over 18 years. They are available to play at restaurants, night clubs, theaters, festivals, private parties and outdoor venues. ZilzalaDrums also produces well sought after music and dance shows and festivals and hosts workshops for the drumming and dancing arts. SEE FAR LEFT FOR LIST OF ARTISTS and CURRENT WORKSHOPS AND EVENTS!! ZizlalaDrums has the flexibility to provide entertainment for your event with musicians experienced in belly dance music. They also provide individual belly dancers and a professional belly dance troupe taught in the arts of cabaret and tribal.